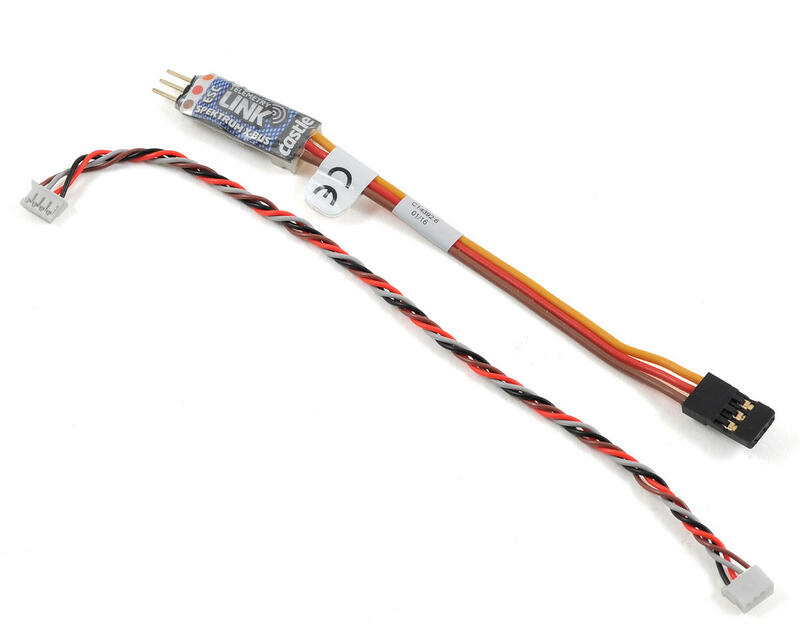 With the Castle Creations Telemetry Link, many pieces of information which you had to download after a flight to your computer is no accessible in real time with this Telemetry Link! Compatible with Spektrum X-Bus Telemetry Modules, the following information is made available to your Spektrum Telemtry Equipped Equipment*. 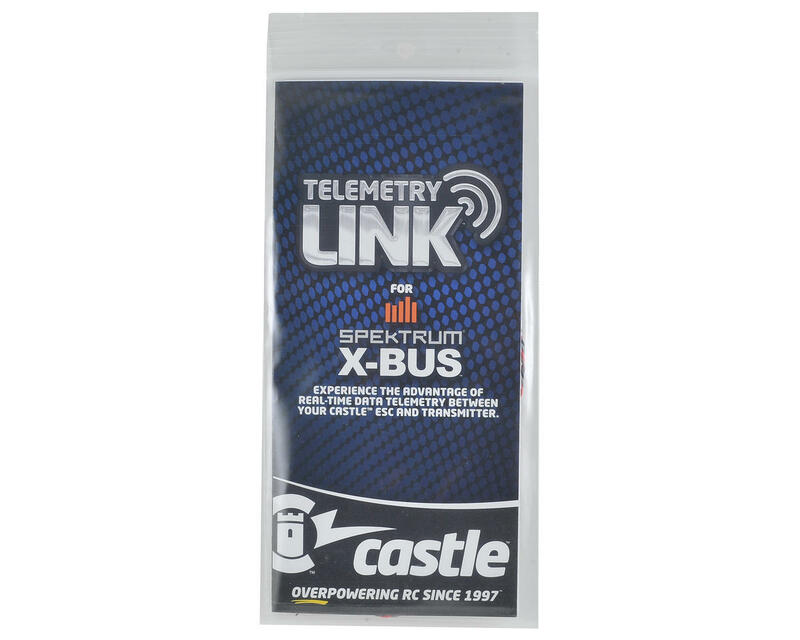 *Note: Specific Spektrum Equipment is needed and sold separate to support the Castle Telemetry Link. Chart is found below. Telemetry is an automatic communication protocol which sequences of data (such as RPM, Temperature, Battery Power) are measure and collected at a remote or inaccessible location. Telemetry has been available to modelers for several years, but until recent changes and advancements in technology have taken place, being able to have data delivered in real time has been a struggle. With Real Time data at your fingertips, many radios can program alarms for warnings that can save small things such as a motor or a temperature, to a possible crash from low voltage on your batteries. Each of the data points can be turned on or turned off via USB Connection and use of Castle Link (CSE010-0005-00).